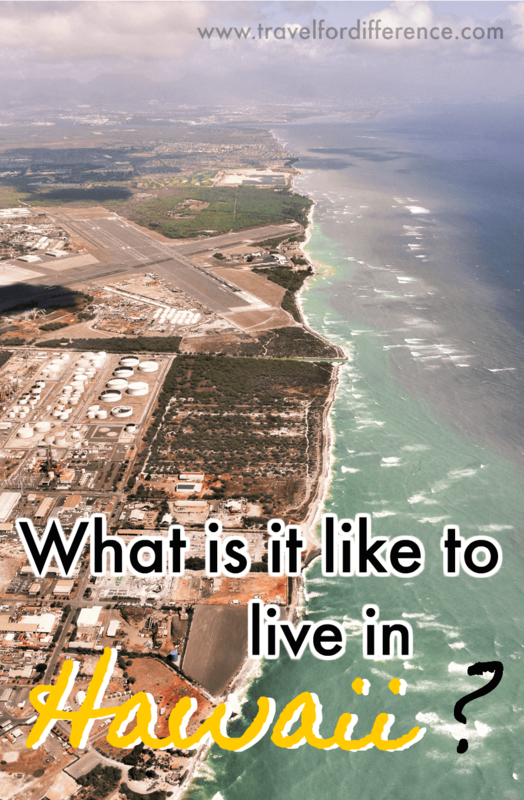 WHAT IS IT LIKE TO LIVE IN HAWAII? Hawaii; the place that’s so commonly referred to as a tropical paradise. The 50th state of America with a fascinating history, beautiful surroundings and a relaxed atmosphere that so many would love to live in. For those that are asking “What is it like to live in Hawaii?”… Leanne from Countries to go is here to share the answers with you! ‘Haole‘ is a derogatory term used in Hawaii that refers to individuals who are not descendants of native Hawaiians or other ethnicities that moved there many years ago. Many Caucasian tourists and residents have said to have been treated unfairly; being harassed with racial slurs from the native Hawaiians and people of the minority. This hatred is somewhat understandable, as back in 1893, American and European men (backed by the military) overruled Hawaii’s monarch and held her as a prisoner. Fast forward to 1959, and Hawaii became the 50th state of America… It’s a very bitter topic for the some of the native people, hence why their aggression is sometimes shown. “Welcome to Hawaii brother, Aloha” isn’t uncommon to hear! In terms of their beliefs, some firmly proclaim that Hawaii should still be a monarchy and a country of their own; essentially that the statehood should never have happened. However, many are truly happy to be apart of the United States. To sum things up… It’s best not to bring it up unless you want to start an argument! On a side note, it’s quickly noticed that the people of Hawaii are very mixed! The locals are very racially diverse, so you can never really know who was born in the country just by looking at their features. Hawaii is one of the most expensive places to live in the US. Finding a place to stay can be tough; unless you have a decent amount of money! On Oahu, especially in Honolulu, finding an apartment for under $2,000 a month is difficult unless you want to live in a dump. For a nice view and solo living, a suggested budget of $3,000 a month would suffice. If you want to live somewhere less than $1,500 a month, expect to have a roomie! On the other islands, it depends… There are studios out there for $1,000 a month on Kauai and even on the Big Island. On Maui places to live are much more expensive; I suppose this is because so many celebrities have houses out there. If you want any kind of view on any of these particular islands, you should expect to pay in the thousands — especially if you want your own place. For living with 1 + people, it is possible to get rent for less than $900 a month! In terms of food and necessities, it isn’t as expensive as what’s assumed. Gas is around $2.99 in Honolulu, bread about $5 – $6 a loaf. Eggs and milk are on the pricier end, usually $5 – $8 each depending on where you go… They do have Walmart here, and Costco, Sam’s Club etc. But everything in this state is imported, meaning that prices are definitely higher than other areas of the country, although they really aren’t as bad as many may assume! Getting around each island is whole other thing! Honolulu has some of the worst traffic in the whole country; it usually goes neck in neck with Los Angeles. 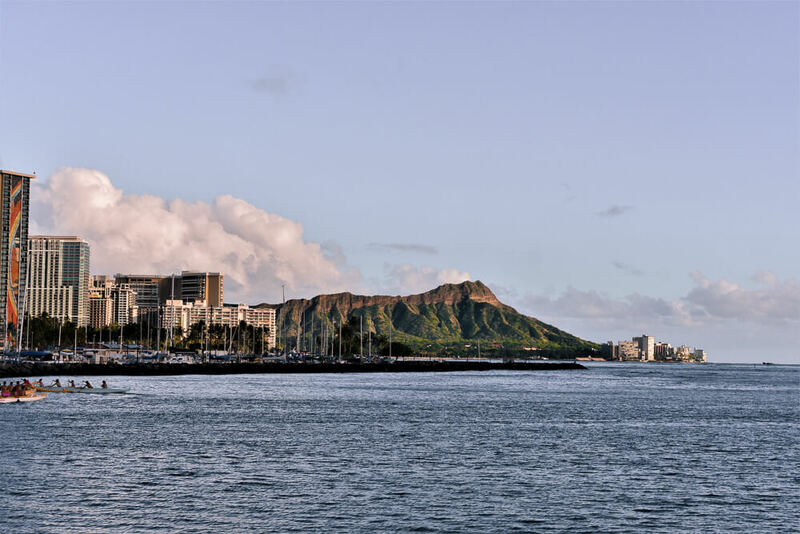 Most of Oahu is very residential, meaning that many people live outside of Honolulu but work in the city – it can often take hours to travel 30 miles during rush hour. On Kauai, only 20% of the island can be seen by the roads – it’s basically begging for an aerial tour. And sadly the other islands don’t get much better… I’d say that the Big Island has many roadways, but not through the middle of it. Although in saying that, who doesn’t like ocean views as you drive? If you’ve been to tropical islands before, especially in the Pacific Ocean, you know it gets really hot and humid. Although contrary to popular beliefs, Hawaii isn’t like this at all! Crosswinds hit the islands day and night almost every single day, so even though it’s 80°F degrees (26°C), it feels like it’s 70 because of all of the wind (cough cough – don’t wear a hat!). There are days that the winds do eventually stop, but it makes it overly miserable due to the overwhelming heat. 98% of the time though, that doesn’t happen! The rainy weather here also isn’t the same as other tropical destinations; many times it only rains under 1 cloud at a time (not always… They do have their tropical downpours here too). This makes rainbows a regular occurrence, which is why they’re so famous here. As for surf lovers, the swells here are definitely some of the best in the world! You can’t live in Hawaii without ever seeing a hula show. 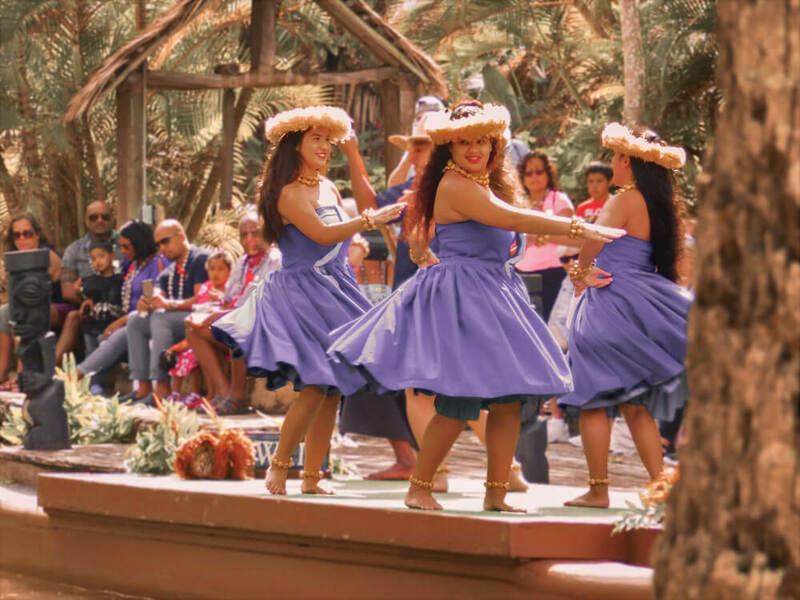 The most famous one is at the Polynesian Cultural Center – it costs a nice dollar to get in, however, you learn all about Polynesia and quickly learn to tell the difference between all of the different dances such as Tahitian, Fijian, Samoan, and more. Most of the shows that are seen in resorts are actually Tahitian, not Hawaiian – Ironic right? So, what is it like to live in Hawaii? There are some negative things about living here, of course. Ordering stuff online takes longer than most other places and things that air on the east coast of the US don’t reach Hawaii until 5-6 hours later. Another pretty great thing is that there’s no daylight savings time change! 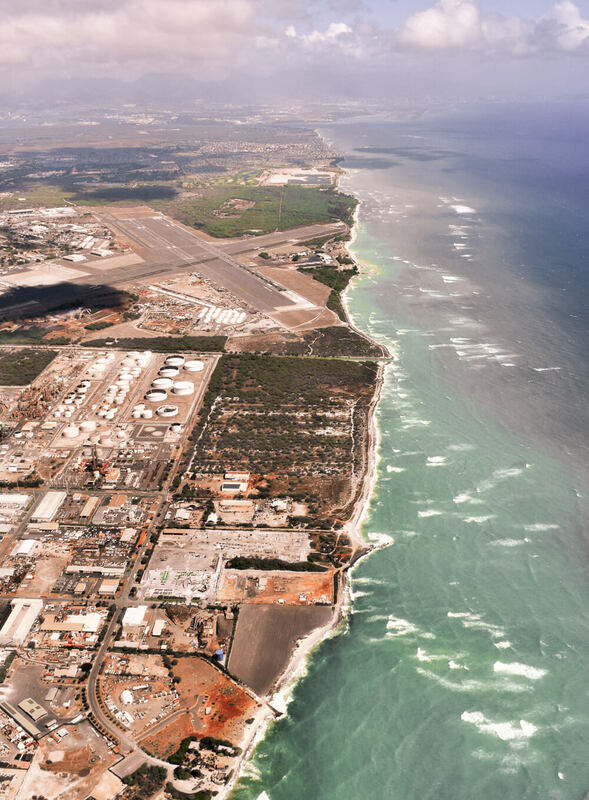 All in all, there are some pretty incredible aspects of living in Hawaii, along with some minor downfalls – as you would expect everywhere around the world. 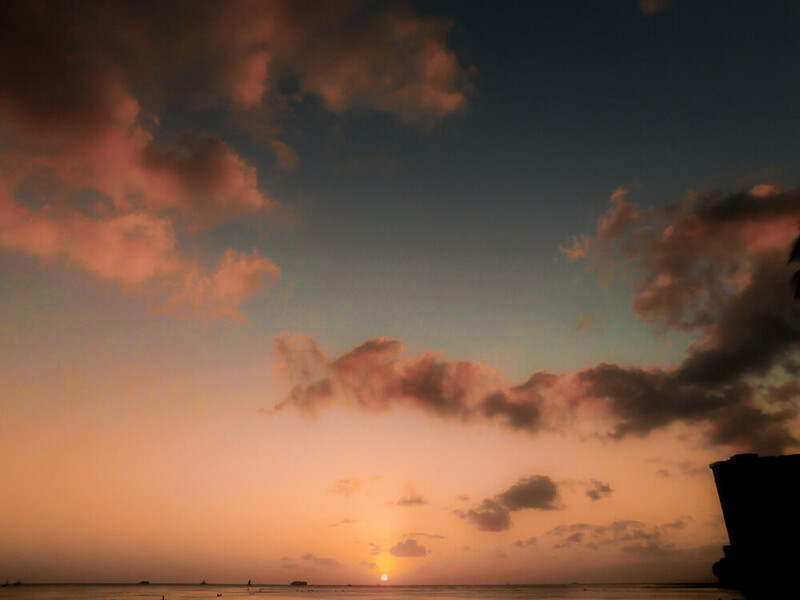 For me personally, Hawaii’s positives totally outweigh the bad! I mean… Who couldn’t love those sunset views? Leanne was born and raised in the United States. Having lived in 5 states now and been to 40 of them, she now runs Countries To Go and maintains a Twitter and Facebook page for her blog. She focuses on specific information for every traveller looking to visit the US. In the future, she plans on road tripping across America and Canada before branching out to the rest of the world. She looks forward to meeting you wherever you are! What an interesting post. I’ve traveled to the Hawaiian islands 3 times now and I always wondered what living here would be like. I do agree that some roadways on some islands make getting around hard but overall I’d be pretty happy living there. But as an Aussie anything with a beach works for me haha. It does sound like such an interesting place! I’m an Aussie too, so anything beachy sounds perfect to me ?? 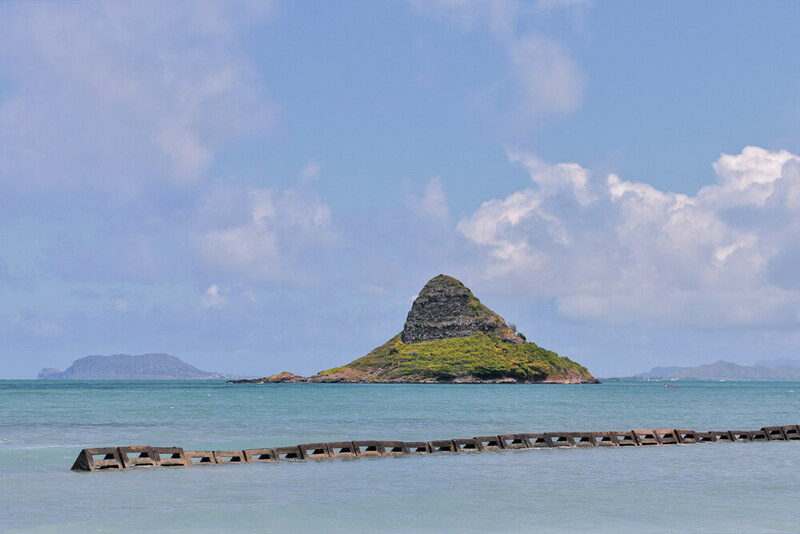 Hawaii was one of our top picks as destinations for our honeymoon, but we had to check it off our list because of the costs and also because it’s not so easy to reach from Sweden, especially if you want to keep the budget low. We will only have about 12 days, and if you don’t want to take 4 flights to keep the budget down, you only lose a lot of time. I still hope to get to visit, maybe one day when we have a better budget (not an after-the-wedding budget) and can afford to fly on more convenient routes! Flying out of the United States, Australia, or anywhere in east Asia is best. Prices are the lowest then because it’s much more common.